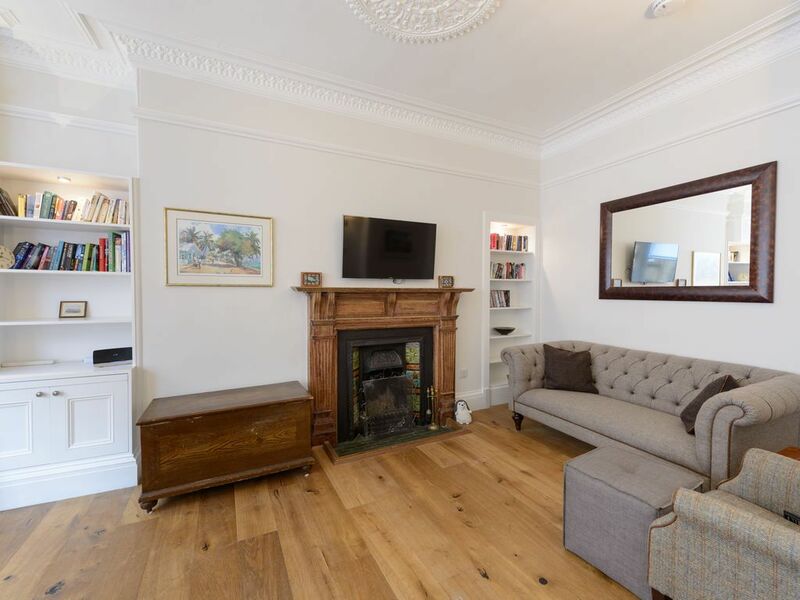 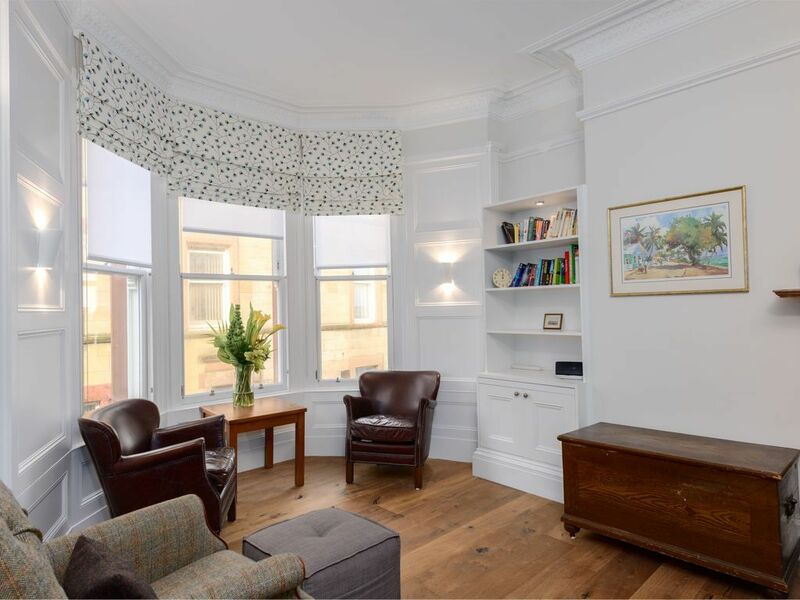 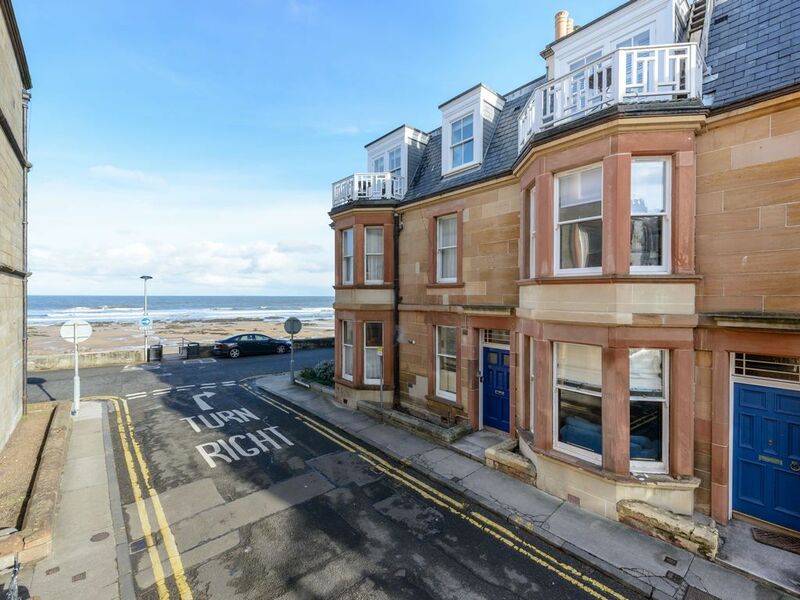 This three bedroom apartment is on the first and second floors of a traditional building in Balfour Street which is lined by elegant Victorian properties with generous bay windows, and a glimpse of the sea invites you down to the beach which is just a few steps away from the front door. 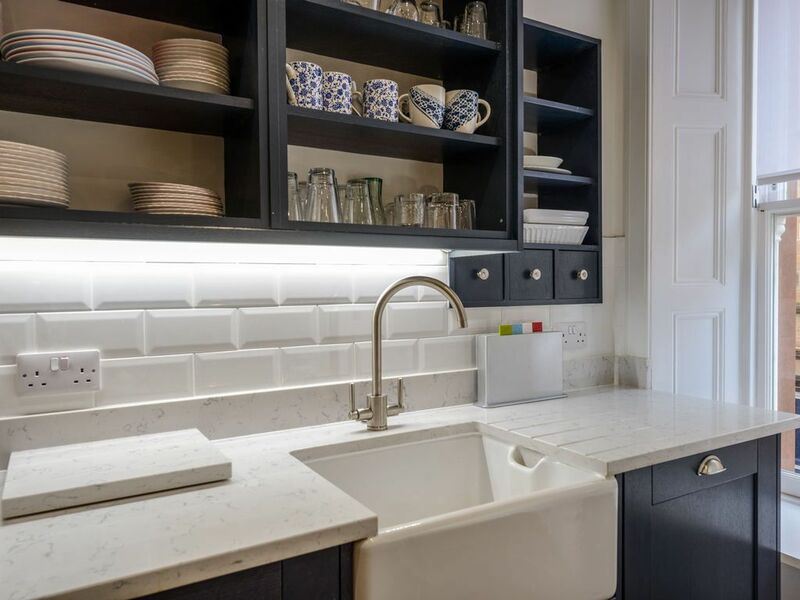 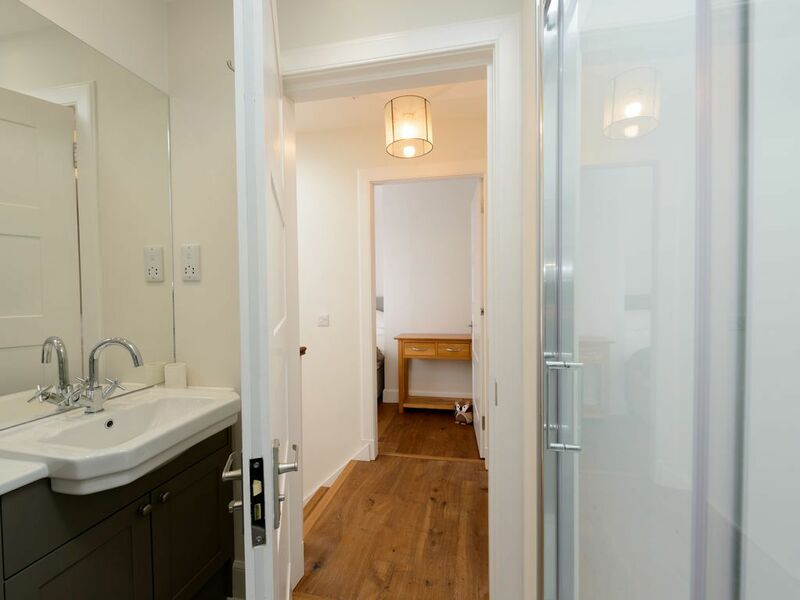 It has just undergone a complete renovation with the space reconfigured to give a new utility and shower room not to mention the impressive open plan living area with dining and kitchen at the far end. 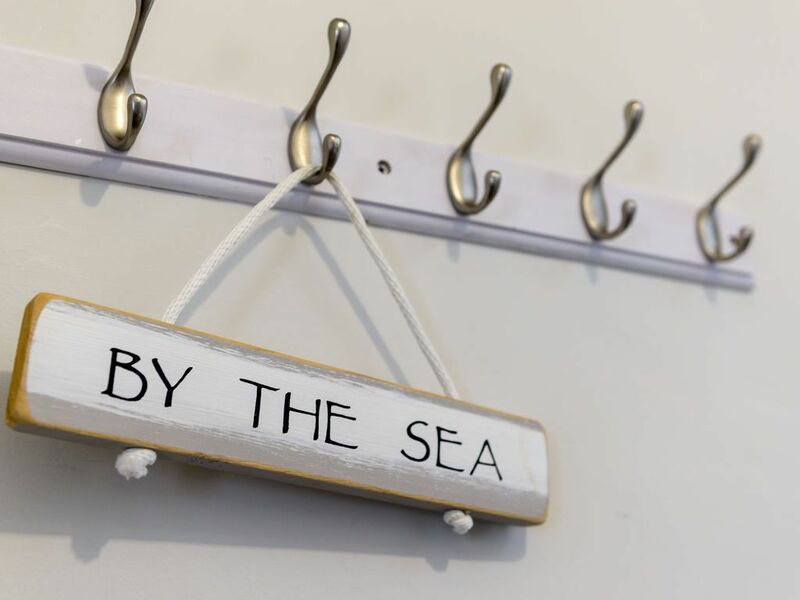 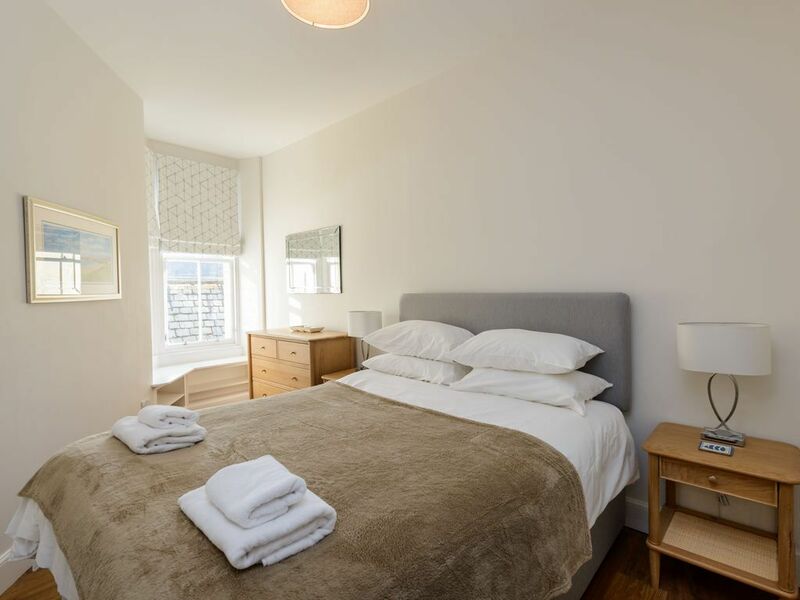 With new fixtures, fittings and furnishings, By the Sea offers a very high standard of accommodation ideal for families, couples or singles wishing to enjoy this delightful seaside town and the surrounding area which boasts several world class golf courses. 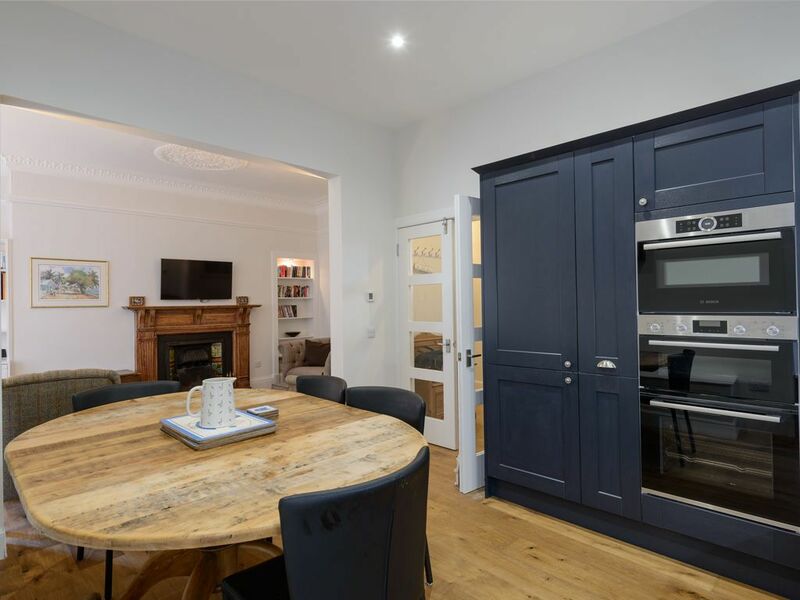 The large open plan sitting/dining and kitchen room has leather couches and an original fireplace, with large bay windows offering sea views. 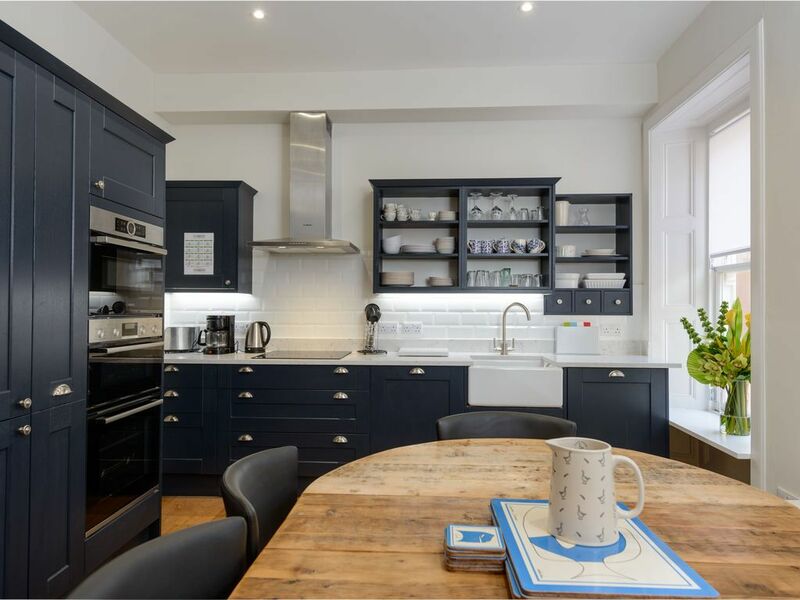 To the far end is the ample dining table and newly fitted luxury kitchen with grey units, all the usual facilities including dishwasher and double oven and a Belfast sink. 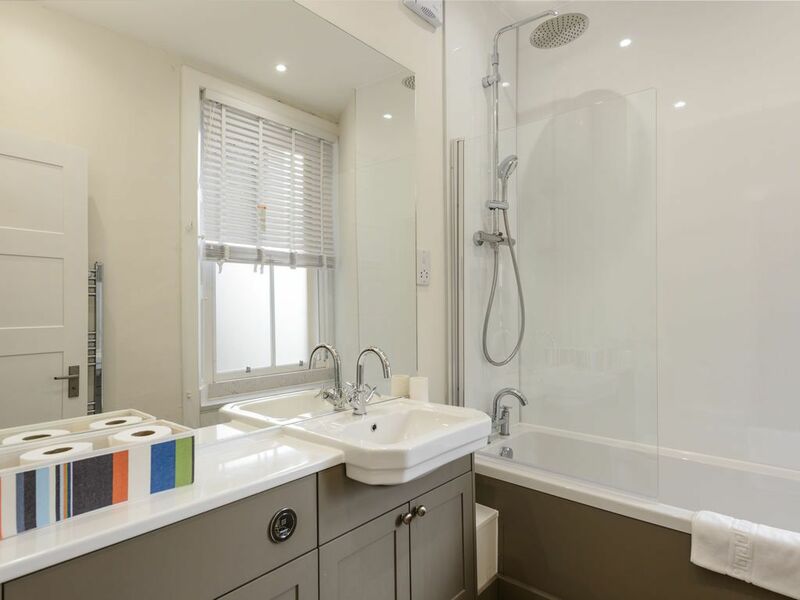 There is also a utility room with washing and drying facilities. 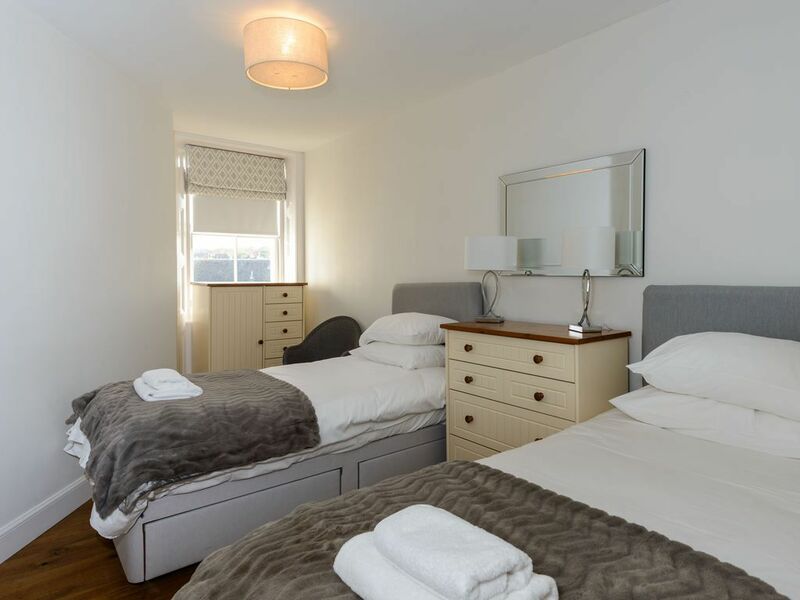 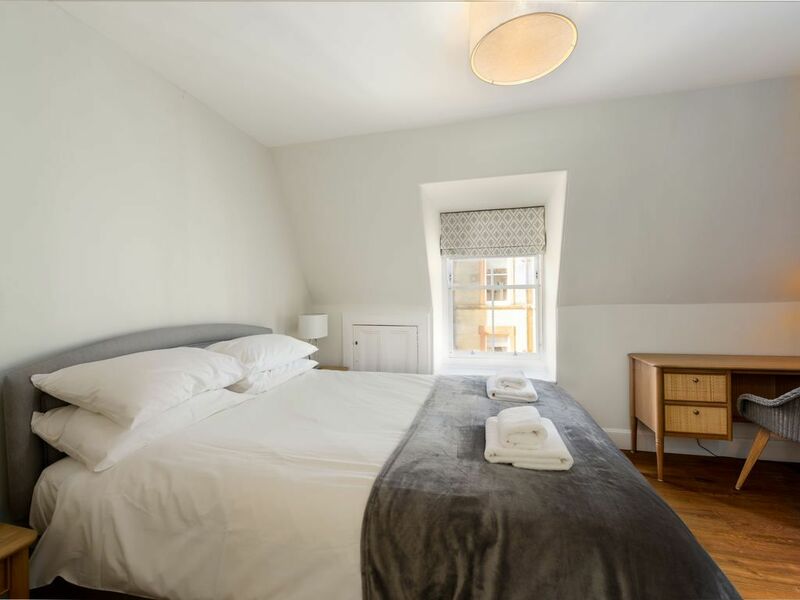 The three bedrooms are decorated in restful shades of white and grey: two have double beds and the third has twin beds, ideal for children or singles. 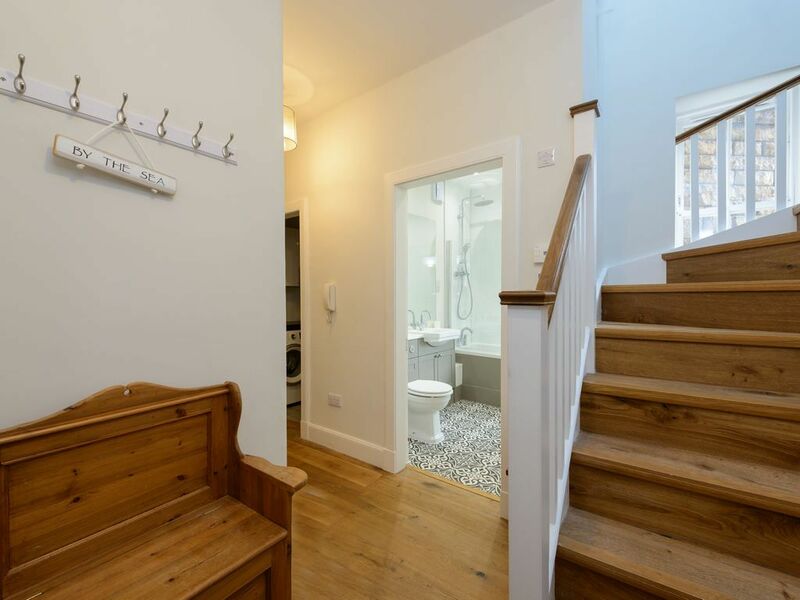 There are two bathrooms both newly refitted with white suites. 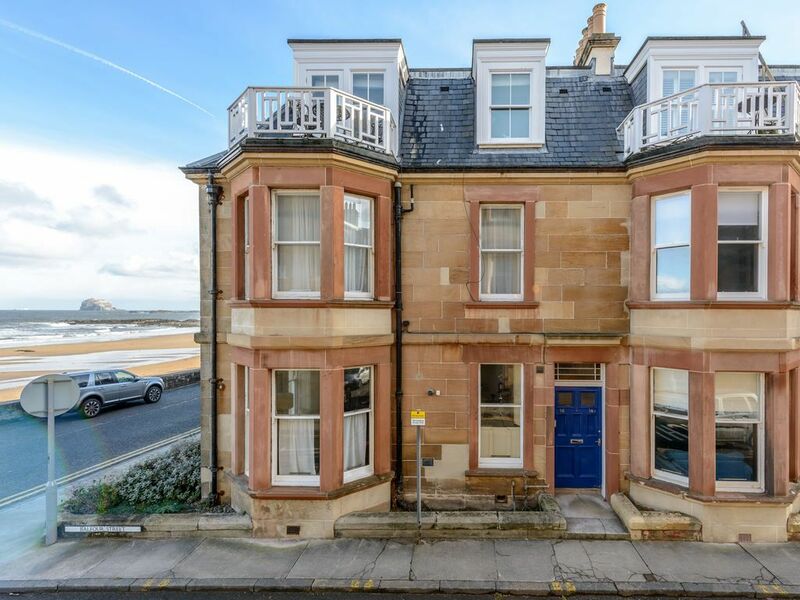 The property has gas central heating and there is parking along Balfour Street. 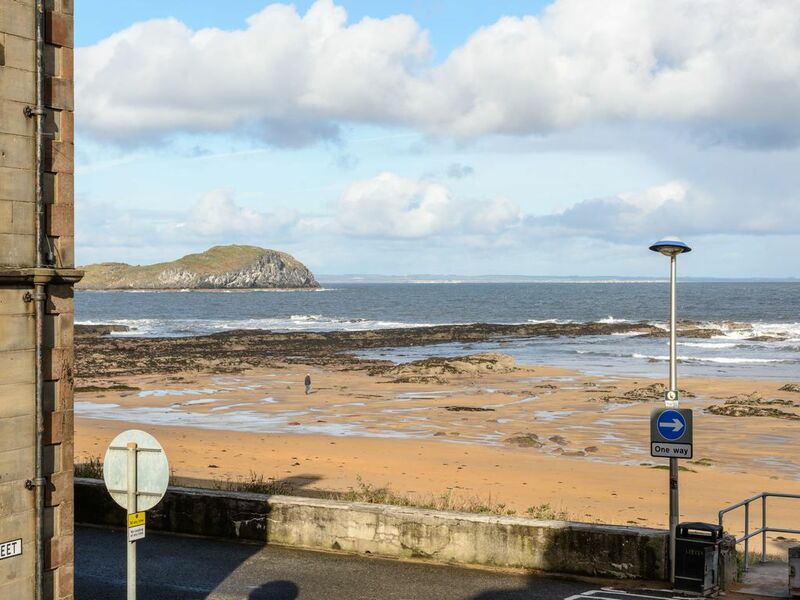 The award winning Scottish Seabird Centre is reached by a five minute walk along the beach and close by is the harbour and town centre with shops and restaurants. 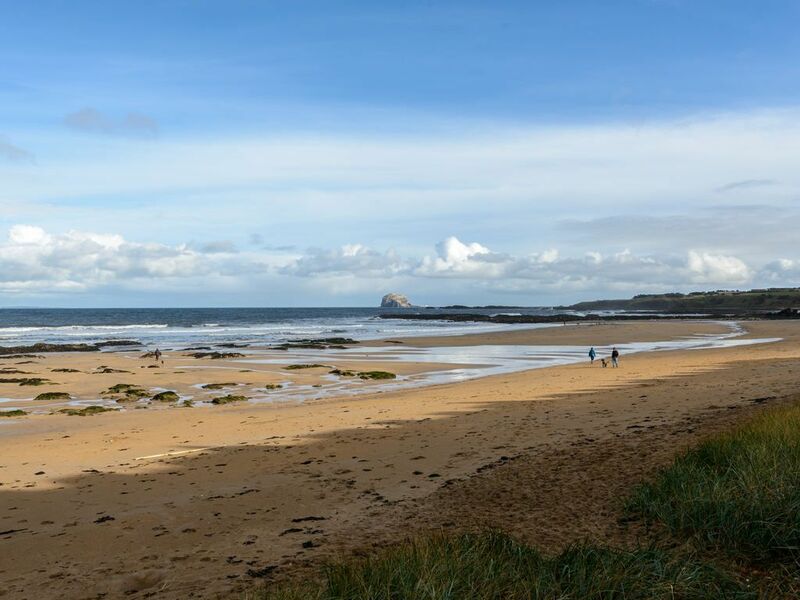 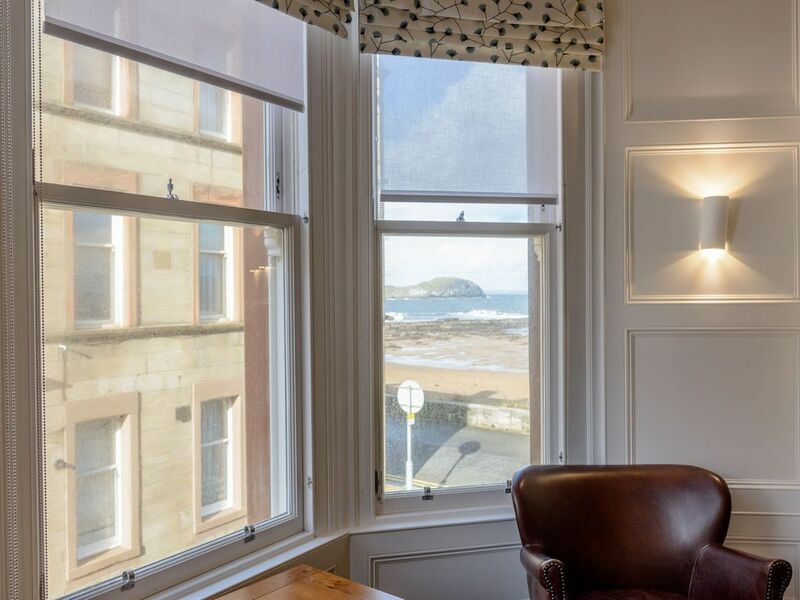 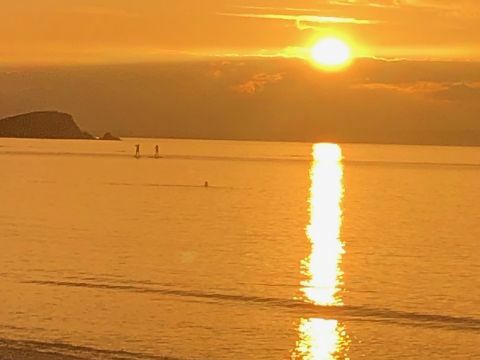 The train station in North Berwick offers a direct service into Edinburgh where there are opportunities for sightseeing and entertainment venues to suit all tastes and budgets. 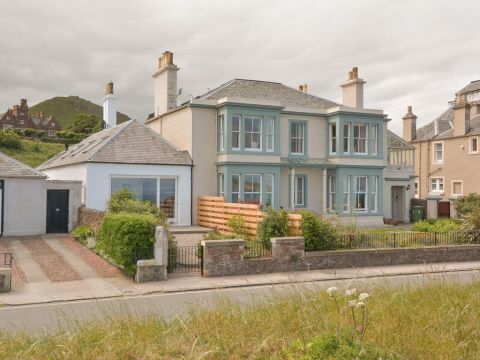 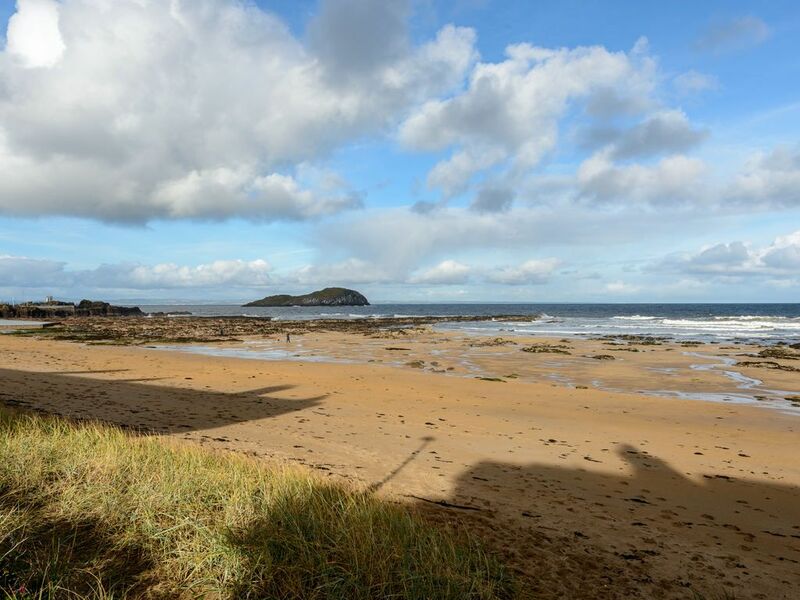 We recommend this property to those seeking a comfortable place to enjoy this special part of Scotland whether you seek a beach holiday, golfing trip or cultural break. 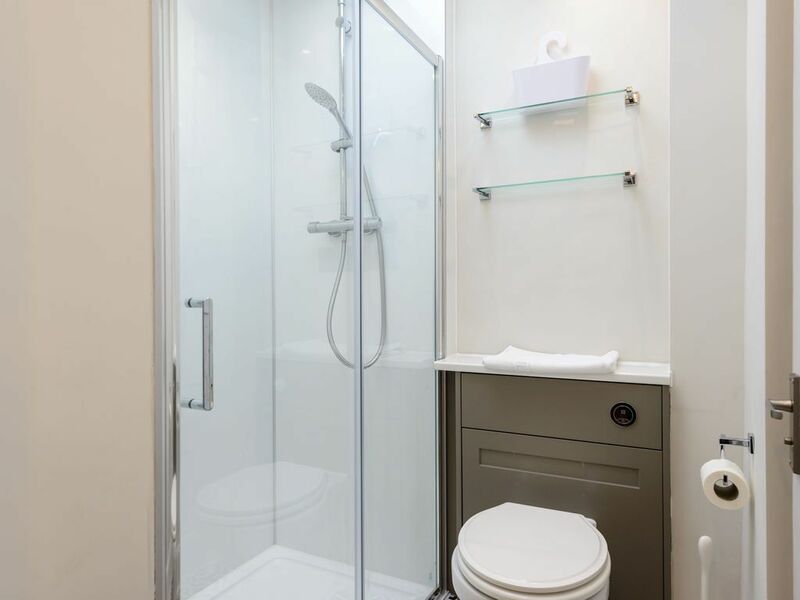 Here you can have a bit of everything.